Pardon the low-quality cellphone photo. 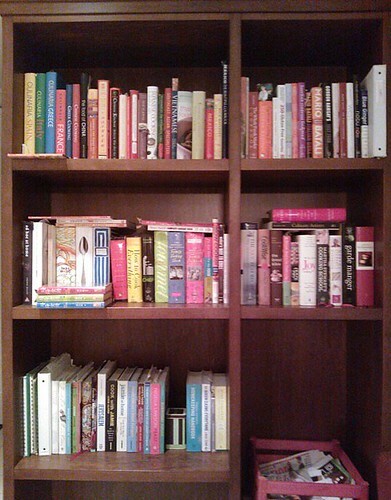 Quite a lot of books there, considering we don't follow recipes. Teehee.